Step your home laundry system up a notch in personalized efficiency with the HotPoint 6.2 cu. 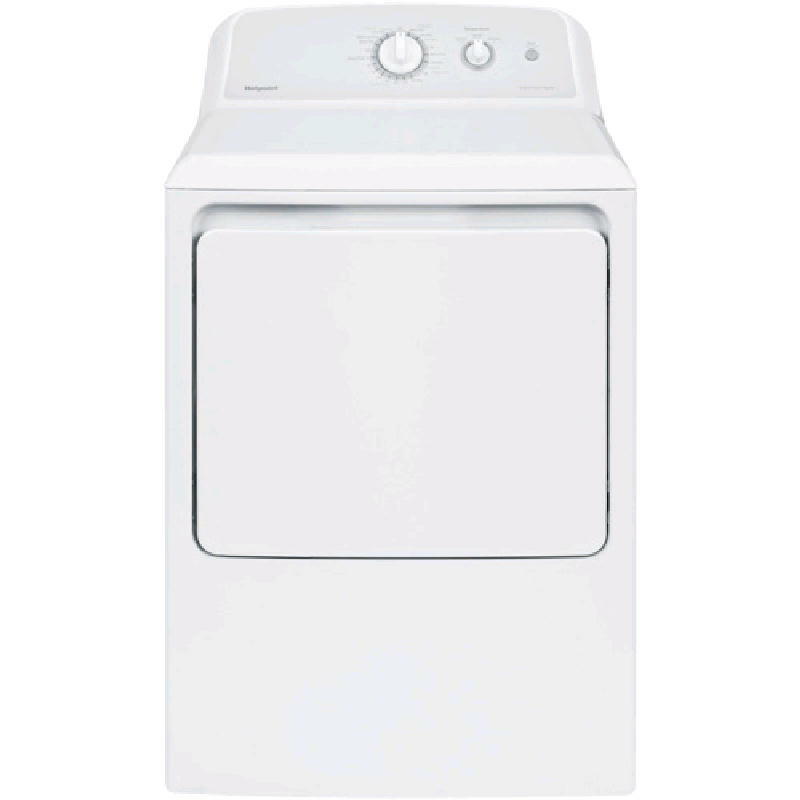 ft. capacity electric dryer by GE. From light silk to heavy wool, garments will come out crisply dry and damage-free due to three, flexible heat temperature selections, including a cycle devoted to the most delicate of fabrics. A state-of-the-art Auto Dry function monitors air temperature to ensure optimal drying time, and rotary electromechanical controls make it simple to set it and forget it. The sturdy aluminized alloy drum is designed to simultaneously save energy and resist corrosion, while the 120 ft. venting capability and upfront, easy-clean lint filter guarantee that this machine will run smoothly and without hassle.